The Mayo Clinic name is associated with several types of diets, including fad diets that promise quick weight loss in a short time. 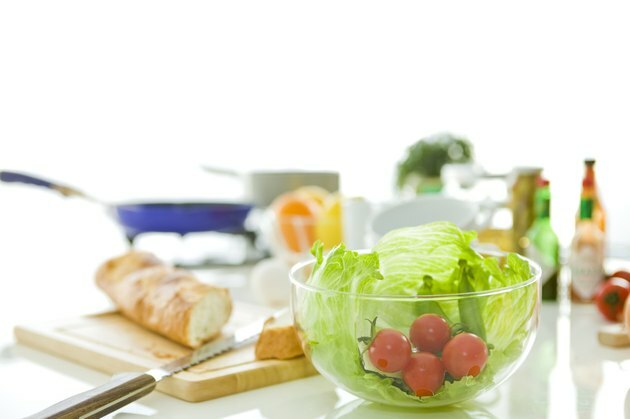 The Mayo Clinic 3-day diet promises to work in as little as three days and is promoted as a program that can help you to shed excess pounds at the last minute before an upcoming event. While this type of diet may use some healthy foods and you could lose weight, it may not be a healthy option for weight loss. And regardless of the popular name, it has nothing to do with the famous health-care system in Rochester, Minnesota. If you're interested in the Mayo Clinic diet, it's important to note that it will only cause short-term weight loss, mostly associated with water weight. Long-term safe weight loss takes weeks, months or years of work, and can't be achieved in 3 days. The Mayo Clinic 3-day diet is a type of weight loss plan that may help you to lose up to 6 lbs. in three days. This diet involves eating plenty of grapefruit, vegetables and protein with few carbohydrates or fats. You must also drink a minimum of 32 oz of water daily. Some people may believe that adding grapefruit to each meal will help foster weight loss, but grapefruit does not have any mysterious properties that cause it to burn fat. According to Colorado State University Extension, there is no correlation between adding grapefruit to each meal and losing weight. The Mayo Clinic 3-day diet involves three days of small amounts of foods in combinations of protein with carbohydrates and fat. For example, breakfast each day consists of carbohydrate and protein, such as toast and a piece of cheese or an egg. Lunch involves much of the same combination, such as bread with tuna or cottage cheese. Dinner adds vegetables and a small amount of fat. A sample dinner might include a small serving of skinless chicken, one cup of broccoli, one cup of asparagus, one piece of fruit and one-half cup of vanilla ice cream. For each meal, you must also include half a grapefruit. Although this diet plan is named for the Mayo Clinic, it is actually not associated with the Mayo Clinic at all, nor is it endorsed by the organization. By following this type of diet, you may lose weight quickly because your calories are restricted to about 1,200 each day. Additionally, there are very low amounts of carbohydrates in this diet, which could put your body into a state of ketosis, where the body breaks down fats, forming ketones. The body must then excrete extra water to get rid of these ketones, and so the weight that you appear to be losing is mostly water weight. Although you may lose some weight initially, this type of diet is not meant to last for long. You may eventually gain the weight back because it is a short-term solution. The University of Kentucky College of Agriculture states that if you have a medical condition such as heart disease, diabetes or high blood pressure, you should consult with your doctor before starting any diet to ensure that you are eating the right foods for your condition.